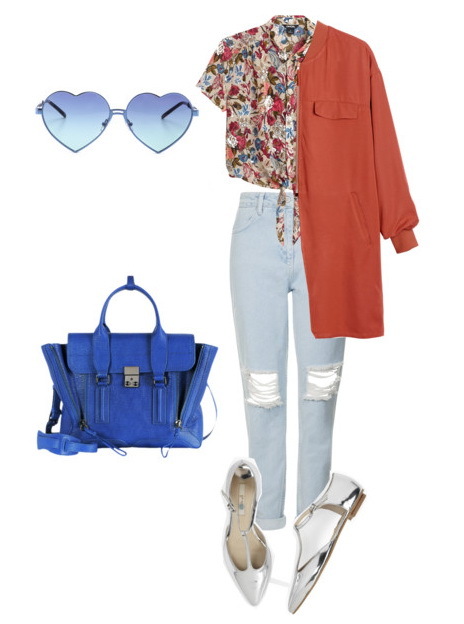 How about making a statement in the crowd by wearing Tomboy inspired clothes? There are so many cool ways how to make tomboy chic look awesome. That's why I decided to share with you this stunning compilation of fashion tips and ideas on how to look awesome in tomboy style looks. 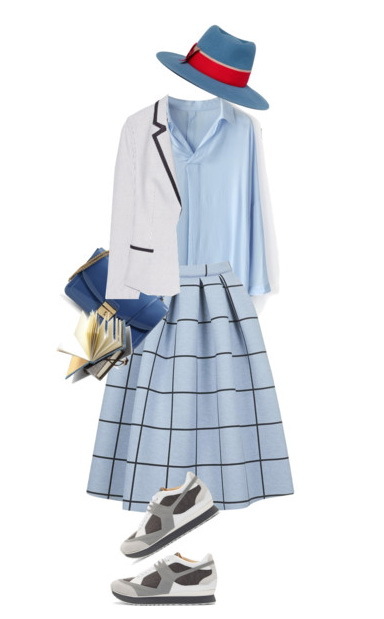 I've never seen such awesome ways how to look great by mixing girlish and menswear inspired clothes together. There are endless ways how to make you look chic and sophisticated. 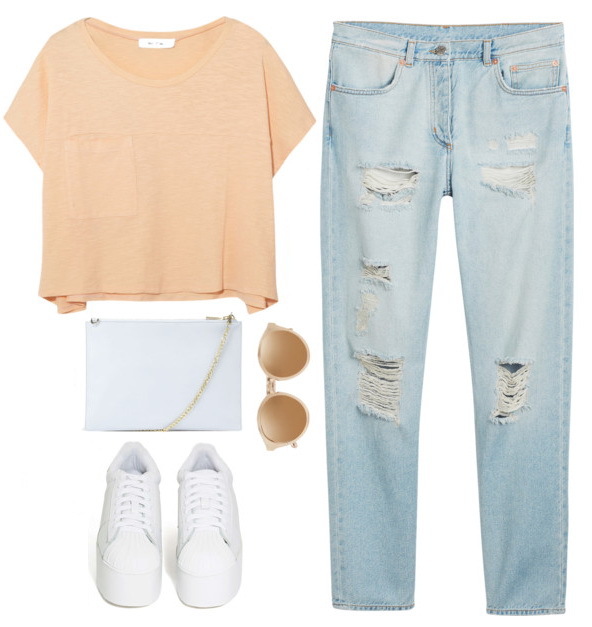 Here are gathered my favorite Polyvore sets consisting of cool Tomboy clothes. Anyway, check out this list and let me know your thoughts in the comments below. How about creating a sporty Tomboy look? Here we see blush pleated trousers, cool blush leather biker jacket and ripped sleeveless denim top. 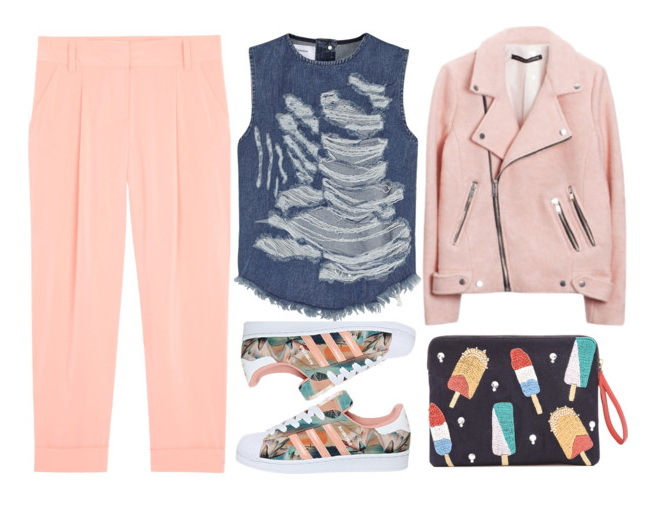 The outfit is completed thanks to colorful clutch bag and stylish multicolored sneakers. First of all, you should try on dark colors and use them in your everyday outfits. Go for navy, brown, black, grey bulky jackets, button-ups, slacks, biker jackets, basic tees, etc. Create your rugged street style look and add some cool accessories on. The Tomboy woman is the one who keeps things relaxed, but professional. She has that special business look touch that can be seen in classic combos like black blazers worn atop white tees tucked in black trousers and completed with colored trainers. Personally, I love to see those gals who appear on the streets wearing menswear inspired pieces, like collared shirts, fedora hats, flat Oxfords and brogues. By the way, I do like boyfriend jeans. They look awesome with those mannish shirts. All in all, keep on scrolling down your mouse yo see more looks.